The Bear valley Bible Institute Sierra Leone greets you all in the name of our lord and Savior Jesus Christ. We want to appreciate all those who in diverse ways supported the work here in our country. We say thank you once again to our Regional Coordinator and Keith whose visits in sierra Leone were a blessing in disguised by bringing the gospel closer to our doors through Bear Valley Bible Institute. The first year program has ended with lots of events undertaken last year. 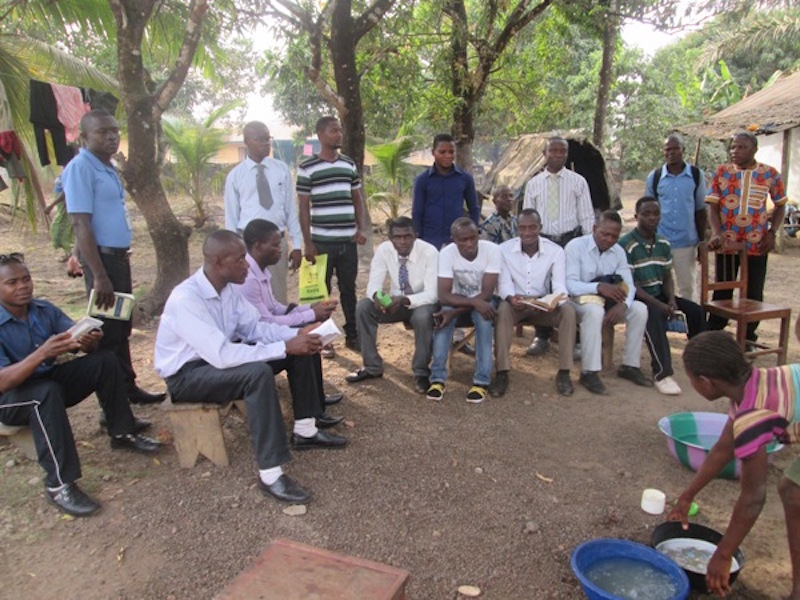 We have started another new year with evangelism campaigns, lectureship, personal visits, house to house, restoration and cooperative evangelism with churches of Christ in Kenema. We also agreed to send student preachers on a routine basis each month to the churches in our area. We hope with these strategies as a preacher's training school will help us achieve better results for this year. ACTION PLAN FOR THIS YEAR. We have engaged on a mass evangelism campaign on every Saturday within Kenema township at a place call Dauda Town on church survey for the possibility of church planting in that community. We are planning a three day lectureship and public preaching campaign at the end of this month on that venue before going for our election break. We also intend to take Kenema urban and rural as our new JERUSALEM. (ACTS 1:8) this year. The students ministry at campus have converted four souls for the month of January 2018. Bro. Emmanuel F. Focko was preacher for that service. He captivated the hearts of these converts through an inspired message preached on the theme “ who is a christian”? Bro. Focko is born some 25 years ago in a small village call Yaladu near Koindu. This brother is a church planter and has planted one congregations in his community before coming to school. He is single and ready to work for the lord if given the support after completing school. He is a pleasant person to work with. The photo below shows Bro, Emmanuel F. Focko holding a bible with a young congregation as the shepherd of that congregation. One of our main constrains was the printing and coping of teaching materials for students. But with the purchase of a canon copier through the help of our sponsors we can now boast of having teaching materials on all the modules for our students. We thank our sponsors for such a wonderful gift to our school. Posted on February 12, 2018 by Keith Kasarjian and tagged Extensions Sierra Leone.